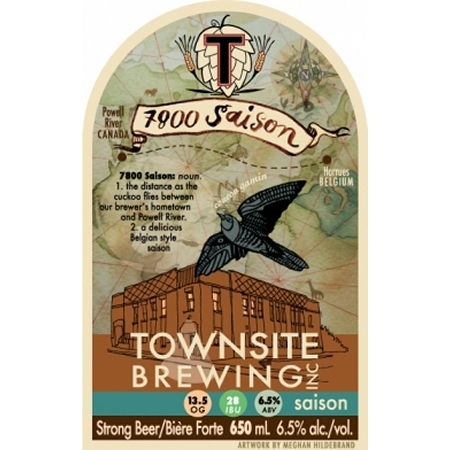 From Townsite Brewing out of Powell River comes the “7800 Saison”. The beer pours an orange colour with no head. The aroma consisted of citrusy fruit, yeast and pepper. The flavour is of citrusy fruit, pepper, yeast, sweetness, an a bitter finish. The alcohol content comes in at 6.5% with an IBU of 28. This was a very well crafted saison but if you know Townsite Brewing then you would know that this is to be expected! Commercial Description: Saison 7800 is a Belgian style of beer that originated in the southern farmlands of Belgium from whence Townsite’s Brewer Engineer Cedric hails. The name itself refers to the distance between his home town of Horrues and Powell River – 7800km as the ‘coucou’ flies. This year’s brew is also subtitled ‘Coucou gamin’ which is a traditional Belgian greeting for a new baby and loosely translated means ‘Hi little guy!’ We are very excited to let everyone know that Cedric and his wife Chloe (Townsite’s Brewery Manager) will welcome a new family member, Hugo, at the end of September! This entry was posted in Saison and tagged bc, bitter, bitter finish, bitterness, canada, citrus, citrusy, fruit, fruity, hopped, hopy, pepper, powell river, saison, sweet, sweetness, townsite brewing, yeast. 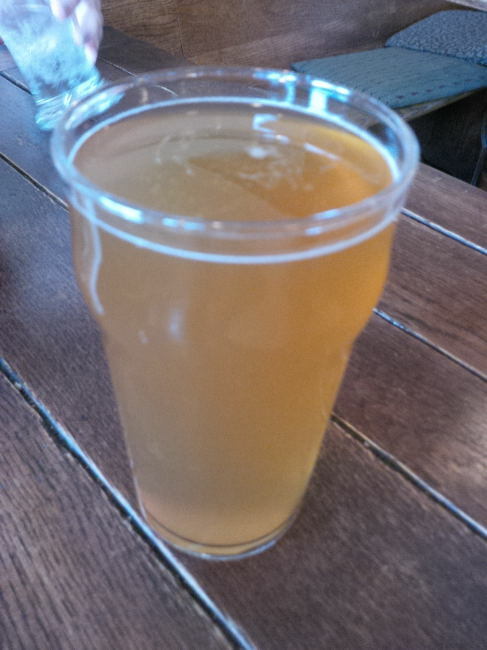 ← Big Timber IPA – Lake of the Woods Brewing Co.